Twinkle Together, LLC started out with one teacher, Karee Justice (not Bondy at the outset) and one location, Washington Park United Methodist Church, in Denver, Colorado. Karee took the Music Together® training in the spring of 1997 in Fort Worth, Texas. Upon returning to Denver, she put together a free demonstration class late in the summer and had over 20 families attend, confirming that Denver families were ready and eager for a music program where adults and children of mixed ages could experience and explore music together. Karee began teaching her first Music Together class in the Fall of 1997; this was the first Music Together program offered in the entire state of Colorado. Karee quickly grew her studio and was asked to teach in other areas; she traveled to Castle Rock, Littleton and Evergreen as well as teaching in the preschool where her son attended. She gained valuable experience in her first two years as a Music Together teacher, making adjustments along the way and creating a successful and growing center. In the summer of 2000, Karee married Steve Bondy, an accomplished classical guitarist. Steve and Karee met at the University of Denver while both were working on their graduate degrees in Music at the University of Denver. Steve took the Music Together training in the winter of 2001 to help Karee teach, as she was due to give birth at the end of the spring session. Their daughter was born the day after the end of the spring 2001 session! The Bondy's decided to take the business a step further in 2001 and LLC'd as Twinkle Together, LLC. In the months and years to come, they would add other valuable music programs, including the Suzuki Method for Guitar and Dalcroze Eurhythmics. In the winter of 2003, Karee obtained her Certification Level I from Music Together. Steve obtained his Certification Level I in Winter 2005. Both Karee and Steve attained the highest level of training with Music Together, Certification Level II, in the summer of 2006. They are each one of only 40 teachers in the nation who have received this level of Music Together training. By the winter of 2003, Twinkle Together, LLC had served over 1000 families and was inducted into Music Together, LLC's Directors Leadership Group, a group of select Music Together teaching centers that come together once a year at the Music Together headquarters in Princeton, New Jersey, to discuss how to best meet the goals of Music Together for guiding Early Childhood musical development.In the Fall of 2007, Twinkle Together, LLC acquired another Denver-based Music Together center, Vocal Motion, LLC, thereby tripling its family membership and becoming the largest and most experienced Music Together center in Colorado. 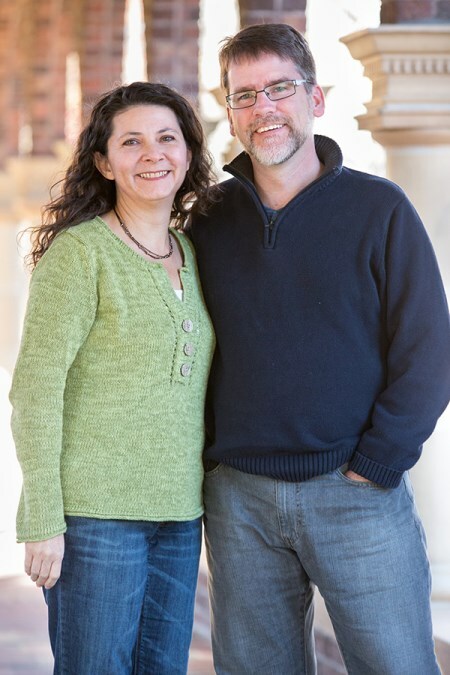 Karee and Steve are both thrilled to be offering Music Together, Dalcroze Eurhythmics and Suzuki Guitar to thousands of families across the Denver Metro Area.